100 years ago the Sopwith Aviation Company produced the rotary engine Sopwith Camel which became the most successful allied fighter in World War I. 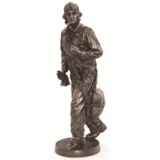 Airplane Décor – Our Sopwith Camel replica airplane propeller is a unique pilot gift and fantastic aviation décor. The size, measuring in excess of 6 feet at just over 73 inches and with about a 7 inch blade width, is impressive! 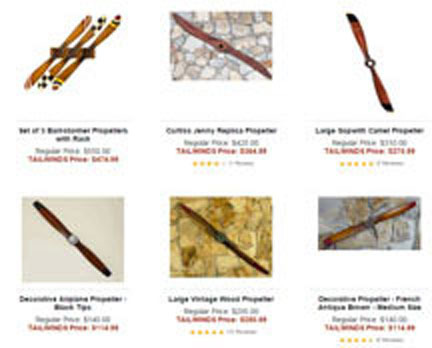 This means that the Sopwith Camel Propeller will look great propped in a corner, hung on a large wall, placed over the fireplace mantel, or simply positioned in an airplane hangar. It is so striking that is sure to be an object of attention and conversation. 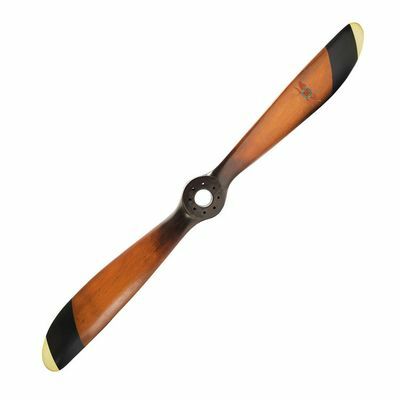 Nancy’s Notes: Tailwinds is pleased to offer this particular version of the Sopwith Camel Propeller because it is based upon an original Sopwith Camel Propeller that was purchased at an auction. While not the same length, this replica is still sizable at over 6 feet, the propeller blades are crafted with the same contour as the original. The auctioned propeller was produced by Sensenich, an American company that still manufactures airplane propellers to this day. It also features the 1930s Sensenich winged logo with the same serial number stampings on the hub as the original. The owner of this replica Sopwith Camel Airplane Propeller will not only appreciate its handsomeness but also its historical significance. The Sopwith Camel was a British World War I biplane fighter aircraft. It was hard to handle but had great maneuverability. 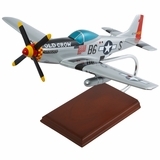 It recalls the early days of aviation and the nostalgia of aerial “dogfights.” A few USN fliers in WWI also flew this aircraft and it was piloted by Lieutenant Junior Grade David S. Ingalls, the Navy's sole ace of World War I. This replica Sopwith Camel Airplane Propeller is crafted from solid wood, like the original, and displays the same interesting curved shape found on many Sopwith Camel propellers. The center hub is drilled with holes like it is ready to be positioned on the crankshaft and the winged Sensenich logo on one blade adds to the aviation themed style. Hardware for hanging the propeller is automatically included. That was what my husband said. As the one that gave it to him as a gift, I am proud to say it is probably the best I have gotten him so far. He loves it! Looks Awesome over the piano! Easy process, predictable shipping and looks amazing. This was a Christmas gift for my husband and he absolutely loved it. The stain color is beautiful and the workmanship is wonderful. He had it up on the wall the next day. 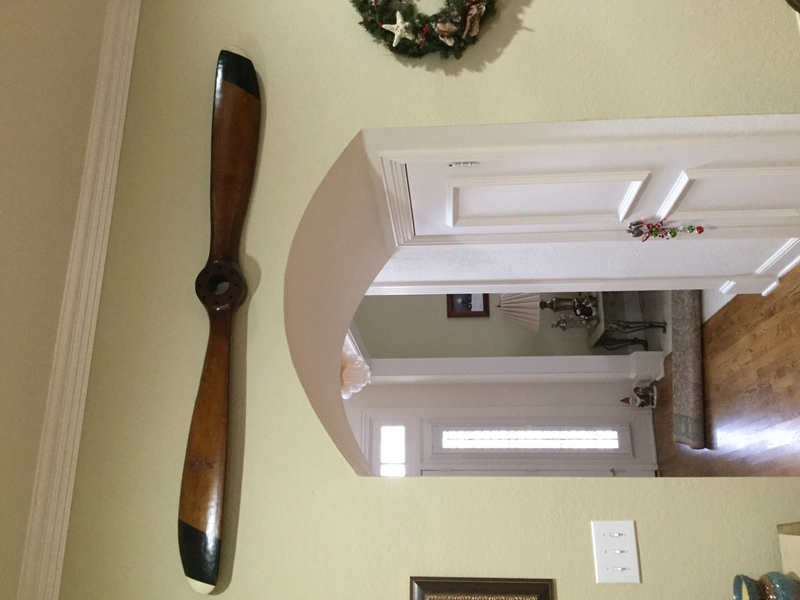 This large propeller was purchased as a birthday present for my husband. Tailwinds has such a nice selection of decorative props it was hard to decide which one would be best. However, we wanted one to hang over French doors going to the patio. The Sopwith propeller is large and substantial, with a 6 in tall blade. The wood is beautiful, rich and well finished. We think it will be perfect. Tailwinds did a great job!! Everything was as-advertised, prompt shipping, friendly and helpful customer support! Thanks!